Should be marked as CLOSED on this site - now a juice bar called Bennie Blancos. Closed and boarded up at present. Tried to visit on a Saturday night at 8pm but it was closed! 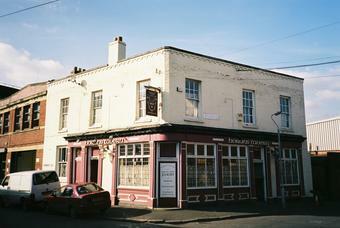 Now called the Eagle , it reopened on 26th August 2011. Extensive refurbishment has brought it back to its former glory days in traditional style..Four ales on offer and a full menu all day.Open 10am - 11pm Mon to Sat, 12-11 Sun. SteveBrum - there is a "Forge" not far away. Think this is closed and has become a backpackers.